Box ChartHere is a cartesian chart with a vertical box series. This chart has neither labels, nor series whiskeys. Chart's legend is hidden. 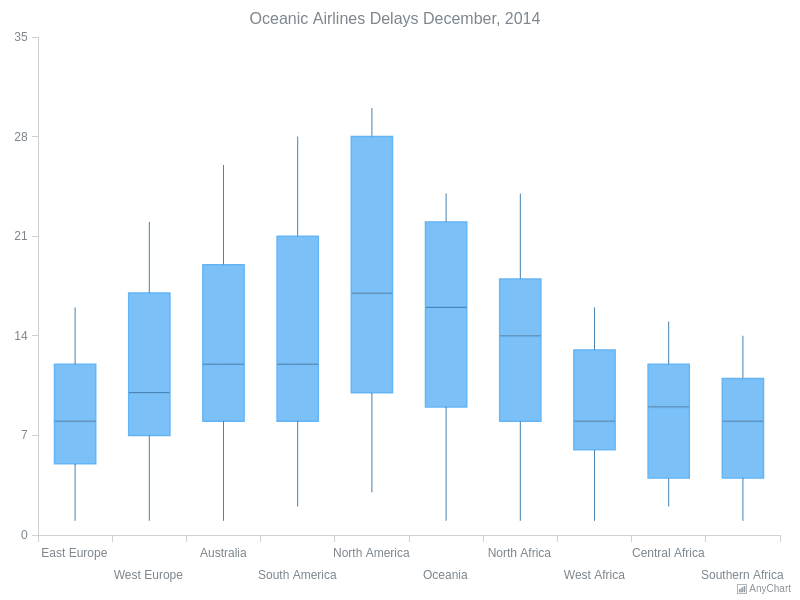 The chart visualizes the statistics for delays of Oceanic Airlines flights in December of 2014. 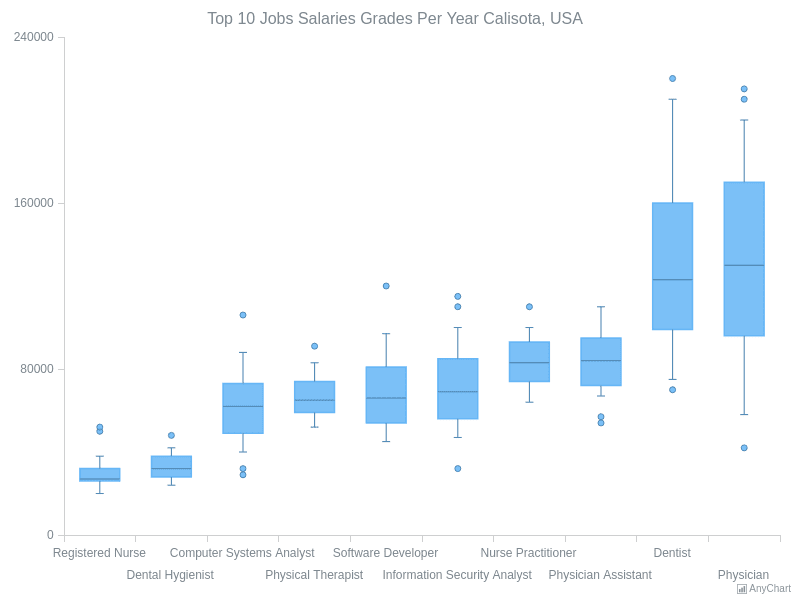 Box and Whisker ChartThis box chart with whiskeys displays the yearly statistics for the top 10 job salaries in Calisota state. This single series chart requires no legend, series labels are hidden. Series tooltip contains full information for each point.